This was started with a single Psychiatrist in 1977 and now we are two Psychiatrists, one special educator ( learning disorders), two Clinical psychologists and one Psychiatric Social Worker. This clinic is an out patient consultation centre and for persons who need in-patient care we provide that under our care in appropriate hospitals in the neighbourhood. This is part of the “Doctor Damodar’s Anti Abuses Devices Development Center”(DDAADD). D.Pradeep M.B.,B.S.- JIPMER – 1973 ; D.P.M. -1975 in Madurai Medical College under Prof.A.Venkoba Rao; M.D (Psychiatyr) – 1977 –NIMHANS. 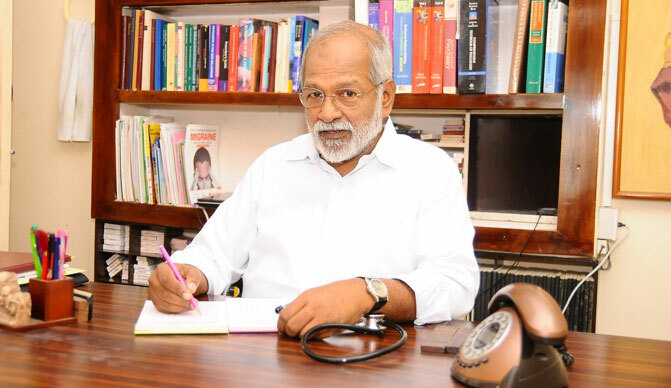 He started this clinic in October 1977 and joined Tamil Nadu Medical Services in 1979. He retired as Professor and Head, Department of Psychiatry, Coimbatore Medical College, Coimbatore. He has written many articles in Tamil, Malyalam and English in topics related to mind. He has also delivered many talks in this area in All India Radio. He has addressed students and teachers of many Schools and Colleges in and around Coimbatore. He has been invited to deliver guest lectures in many conferences and continuing Medical Education Programmes in Psychiatry. At present he continues full time private practice. He can handle Tamil, Malayalam and English with ease and understand Kannada and Hindi to some extent. Mridula Pradeep==M.B.,B.S. -2007 Coimbatore Medical College; M.D (Psychiatry) -2013 – Madras medical college and Institute of Mental Health ,Chennai. She is working as a psychiatrist in this clinic since 2013.She is interested in developmental Psychiatry- related to childhood and adolescent problems(Learning disorders, ADHD, Autism, behaviour disorders etc.,) and also in psychiatric problems of women. She visits schools often to deliver lectures to students and teachers and parents to bring awareness on these problems. She has been writing articles in periodicals and dailies with same intention. K.S.Anitha B.A. –Economics and B.Ed in Special Education (Learning Disorders) She has worked as a Special Education teacher for 20 years imparting Remedial Teaching to pupils with Specific learning Disorders (Dyslexia).She has been working as a co-ordinator in the institute where about 70 students were trained per academic year , and about seventy teachers were available to impart the special teaching. She has been guiding the fresh teachers on the principles of special education. At present she is working in this centre. We will soon be expanding our services with a separate facility for dyslexia, ADHD, Autism and cerebral Palsy. We are specialized in Psychiatrist Treatment,diagnosis and prevention of mental health problems.We manage disorders such as depression, anxiety, post-traumatic stress disorder (PTSD), attention deficit hyperactivity disorder (ADHD) or bipolar disorder.